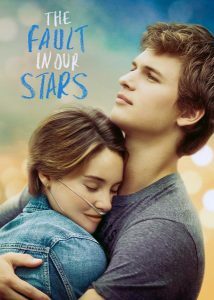 The Fault in Our Stars is a 2014 American romantic film directed by Josh Boone. The film stars Shailene Woodley, Ansel Elgort, and Nat Wolff, with Laura Dern, Sam Trammell, and Willem Dafoe playing supporting roles. The film adaptation received strong critical and commercial success. These young adult titles focus on a tough subject: terminal illness. But through acts of friendship and love, the end isn't so bleak. Since the car accident, Samantha Herring has been in constant pain, not only from a lingering leg injury but also from her mother's death, which has devastated her family. After pushing away her friends, Sam has receded into a fog of depression. But then Sam meets Eliot, a reckless loner with a carefree attitude and an amazing secret: he can't feel any pain. Up until his diagnosis, Lane lived a fairly predictable life. Now he is at a tuberculosis sanatorium called Latham House, where he discovers an insular world with paradoxical rules, med sensors, and an eccentric yet utterly compelling confidante named Sadie - and life as Lane knows it will never be the same. As Lane and Sadie fall in love, their world threatens to come crashing down. View more suggestions for The Fault in Our Stars.